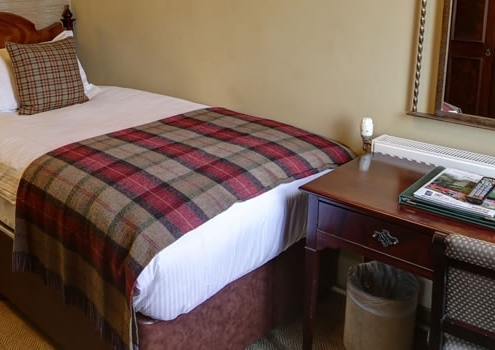 Stay in one of our 36 en-suite bedrooms some with views of the River Tweed and Tweed Green. Special occasion? Request a feature room. 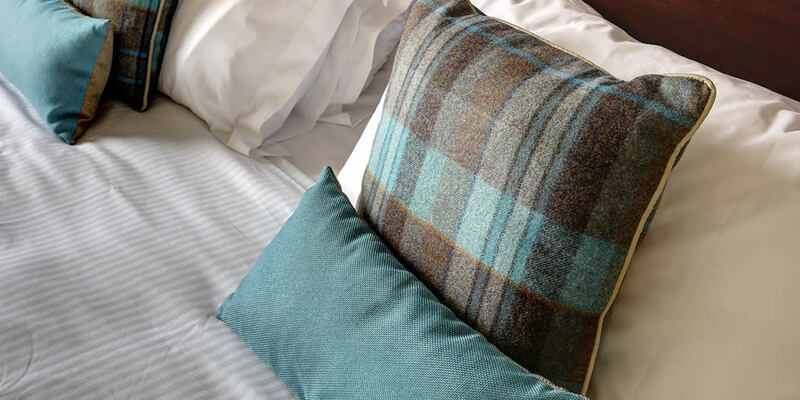 Available throughout the hotel free of charge to all residents. Ask at check-in for details. 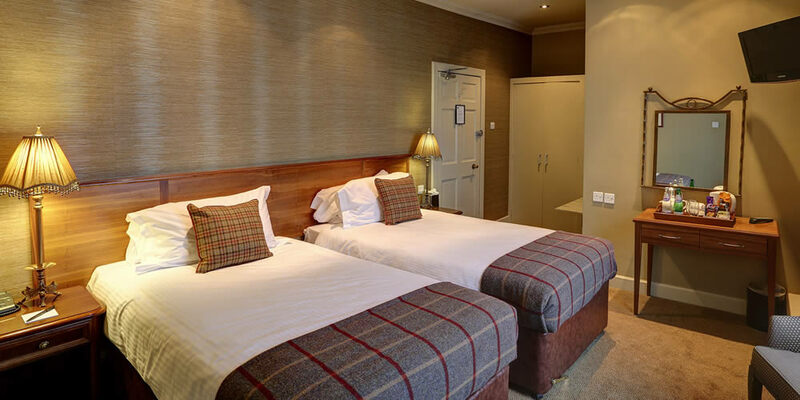 Located in the heart of Peebles, The Tontine is the ideal location for your enjoying the miles of quiet roads and technical trails we have to offer. 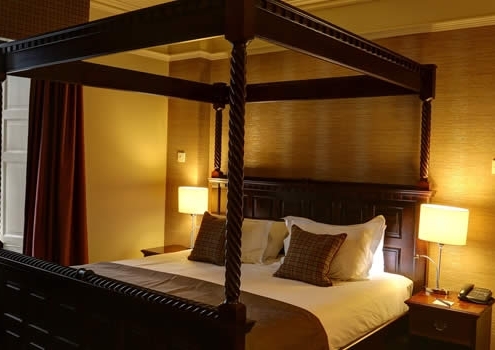 Situated in the heart of Peebles, we are a family run hotel totally geared up to providing you with a wonderful break. 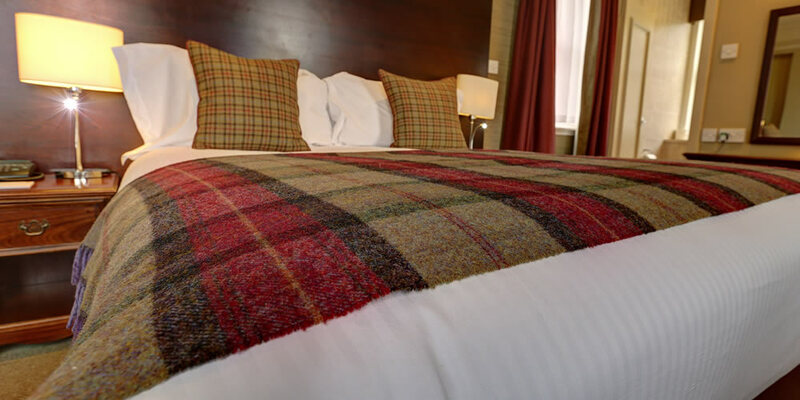 Whether your visit is purely leisure or linked to business you are assured high-quality service and a warm, Scottish welcome at The Tontine Hotel. 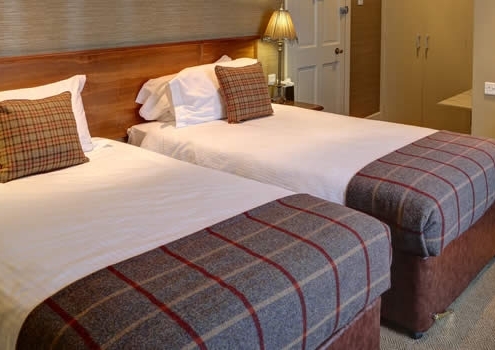 All of our bedrooms feature new super-comfortable Hypnos beds and are fitted with a flat screen television, direct-dial telephone, hairdryer, and a welcoming tea and coffee tray. Cots, highchairs, irons, and boards are available by prior arrangement and there is car parking, on-site, free to residents. Secure, high-speed WiFi is available throughout the hotel free of charge to all residents. Ask at check-in for details. Our garages ensure secure, overnight parking of mountain bikes, road bikes, and motorbikes and the hotels’ pressure washer is available should you want to rinse off your bike after a day outdoors. We have a drying room for wet clothes and storage space for both guns and fishing rods. 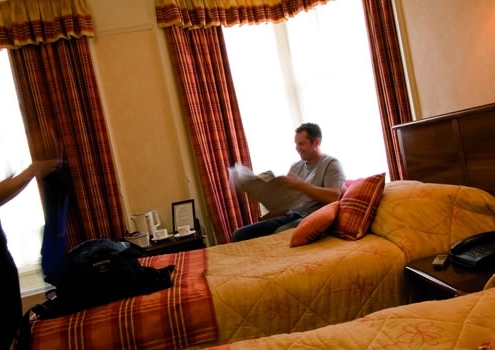 The hotel has a washing machine and dryer and small washing loads can be processed overnight for a small fee. Our check-in time is from 2 pm on the day of your arrival. Please inform us if you plan to arrive after 8 pm. We ask that you to vacate your room by 11 am on the day of your departure. Late checkouts can be arranged. Well behaved dogs are welcome in the Riverside Lodge rooms by prior arrangement. A supplement of £10 per dog per night will be charged. 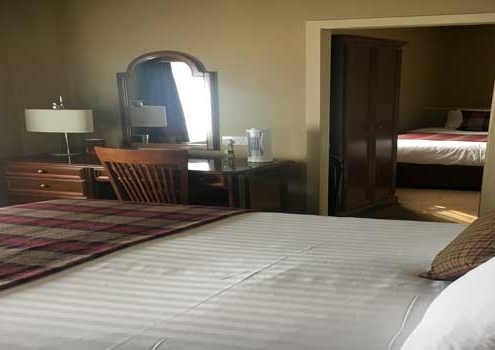 In the event of cancellation, we have a 48-hour policy prior to check in. If canceled up to 1 day before the date of arrival, no fee will be charged. If canceled later or in case of no-show, 100 percent of the first night will be charged. Before this time we will gladly change or cancel your room without charge.